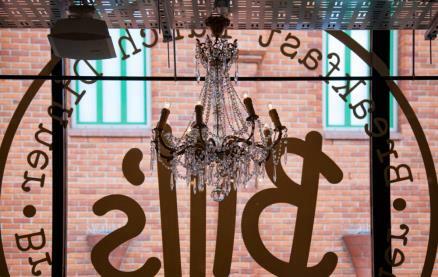 Located in Liverpool ONE, Bill's Liverpool restaurant is just the place to take time out from shopping and recharge your batteries. Open all day, you can sit quietly with a coffee, meet up with friends for lunch or visit in the evening when the candles are twinkling. Bill Collison, founder of Bill's, opened the first Bill's in Lewes, East Sussex, in 2001. Built on the same site where Bill had been running a successful greengrocery for several years, Bill's Café & Produce Store, as it was then known, was an instant success. The aim was to make a place that was colourful and exuberant, with dishes that were really tasty and also made you smile, that put every day and unusual seasonal ingredients together and gave everyone lots of ideas to take home with them. 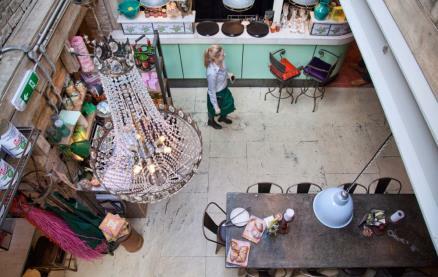 The team at Bill's baked, cooked and served deliciously different food, hung skeins of raffia from the ceiling, stacked towers of produce for people to buy and hired lively, enthusiastic staff to look after their customers. They wanted Bill's to be somewhere that really celebrated food and was welcoming to everyone, a place that felt like the next best thing to home. Breakfast at Bills is a great way to start your day; from a humble bacon or sausage sandwich to a bells-and-whistles super classic great British breakfast. Weekends are a different story, time to kick back and turn breakfast into brunch, complete with newspapers, freshly squeezed orange juice and plenty of tea or coffee. Bill's Reigate is part of a pretty terrace on the High Street. 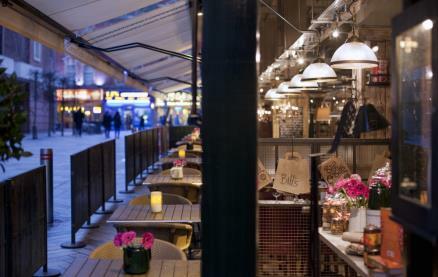 It has loads of character, and there is a terrace for sunny days. 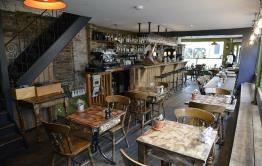 Be the first to write a review and share your experience at Bill's - Reigate with other diners. Went for a family birthday meal. Lots of choice on the menu and tasty food. A nice change from one of the Pizza chains! 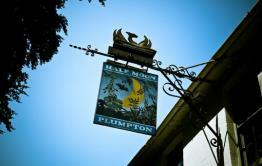 Friendly helpful staff and a thoroughly enjoyable evening. Met for breakfast with family members, food, service and ambience perfect. Buzzy atmosphere but still able to hear ourselves talk. Had a fabulous meal. The fish pie was divine! Service was great and all staff very friendly. Have booked to come again.